For a few days, it seemed like the return of old South Boston — the insular place where racial tensions boiled over during the city’s school busing crisis in the 1970s. A 9 to 4 vote Tuesday by the Allied War Veterans Council excluded the gay veterans group, OUTVETS, from participating in the St. Patrick’s Day parade even though the organization had marched during the two previous years without incident. The move blindsided and angered many, including council members who were absent during the balloting, which set the stage for a second vote of 11 to 0 Friday night to welcome the group permanently into the parade. Many said the vociferous backlash over excluding OUTVETS and the swift rebuttal from within the council represented a resounding defeat for the kind of intolerance that had long cast a shadow over the neighborhood’s reputation. Many politicians who had vowed not to participate in next Sunday’s parade if OUTVETS was sidelined reversed course on Saturday after the vote to include the group. 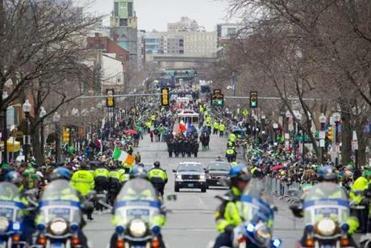 Boston Mayor Martin J. Walsh, Governor Charlie Baker, Lieutenant Governor Karyn Polito, and elected officials from South Boston such as US Representative Stephen Lynch and state Representative Nick Collins said they now planned to march. Edward Flynn, a Navy veteran from South Boston and council member who voted in favor of including OUTVETS, said he’d join the parade. Flynn is running for a City Council seat now occupied by Bill Linehan, who is not seeking reelection. The vote to exclude OUTVETS had given sponsors pause. Stop & Shop supermarket said it planned to rescind sponsorship of the parade over the decision, and Anheuser-Busch said the company would review the situation. After the new vote, both companies later said they would back the event. Collins said the prospect of reversing the gains the neighborhood has made towards inclusion motivated many to right what they viewed as a bad decision. 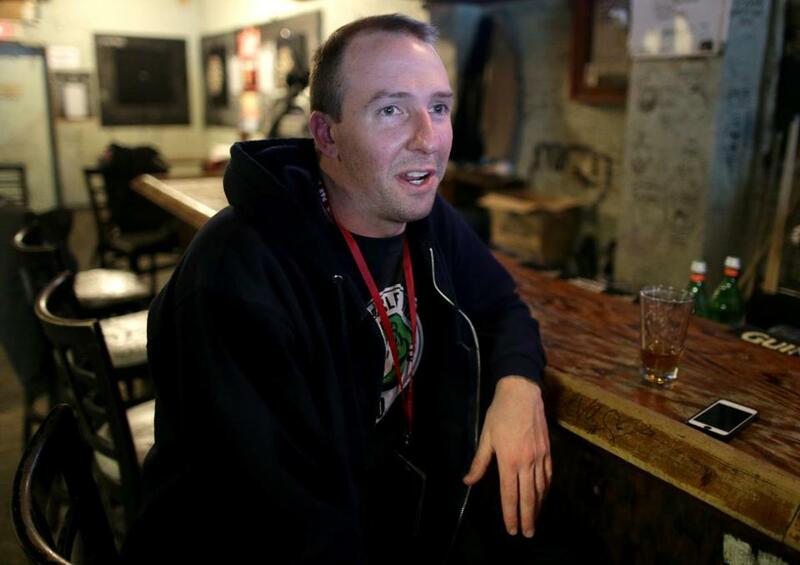 “I think reminding people of what that’d be like unified people in the city and in South Boston, and particularly among the veterans in South Boston, to once and for all ditch that insular image that you point out and say, ‘No. This is who we are and we are an open community,’ ” he said. In interviews Saturday with various elected officials, the meeting convened to cast the initial vote was described as a hastily arranged session that was not attended by many of the council’s younger members, some of whom had fought in Afghanistan and Iraq. Some council members at the Tuesday meeting were not South Boston residents and some weren’t veterans, said state Senator Linda Dorcena Forry, who represents the neighborhood. It was also the first time the group was organizing the annual parade since the death in November of Brian Mahoney, who had pushed for OUTVETS’s inclusion during the two previous years, Collins said. When younger veterans on the council learned the outcome of the vote they had not attended on Tuesday, they were stunned, officials said. “I think the final vote really reflects the feeling of the community,” Lynch said. 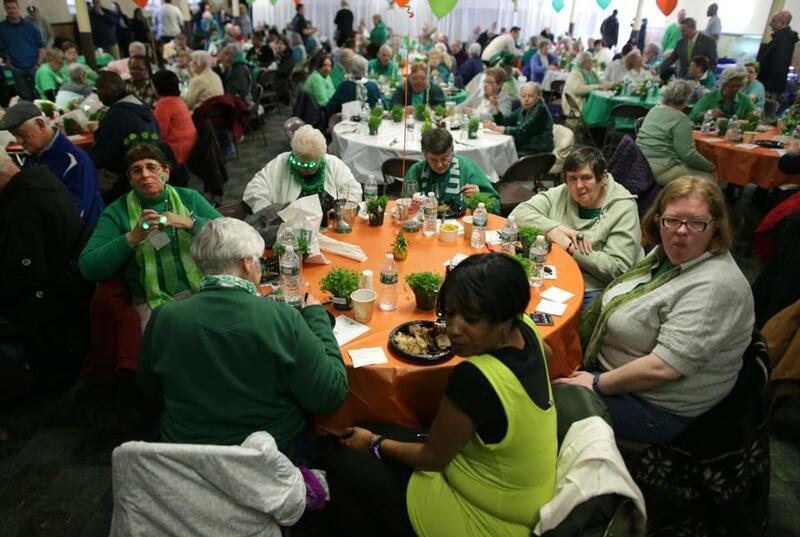 Many expressed support for OUTVETS at a St. Patrick’s event in South Boston on Saturday. Some council members who previously voted to exclude OUTVETS reversed their decision during the second balloting, Flynn said. Dee Dee Edmondson, an attorney for OUTVETS, said the about-face shows that much in Boston has changed. But Dorcena Forry said people outside Boston may not be convinced the city has changed. She said she plans to sit out the parade until she sees evidence the council will never exclude OUTVETS again. “When you talk to communities of color outside of Boston, they don’t think there are black people in Boston because people still think of busing,” Dorcena Forry said. Nearly everyone canvassed Saturday in South Boston, the South End, and Dorchester supported the inclusion of OUTVETS in the parade, but not all. Bill Shaughnessy, 88, an Army veteran from Braintree, questioned why OUTVETS wants to publicize the sexuality of its members. “I thought they should have just marched as veterans,” said Shaughnessy, who attended the senior celebration in South Boston. Stefan Jones, 17, said he disagrees with excluding gay people but thought the organizers have the authority to do so. The US Supreme Court agreed, ruling in 1995 that the council could decide what groups marched. “Everyone should have the right to express what they believe in,” he said. But sexual orientation shouldn’t matter, he said, and veterans risked their lives for the country. “It’s not fair,” Jones said of the group’s initial decision. If some of the old ways amount to discrimination, Rechtiene said it’s time to change. “Southie has this whole issue of trying to stay in a traditional way, which can only go so far when you’re excluding certain groups of people,” she said. Brian Schimmel, who was visiting from Pittsburgh, said he was surprised that a gay veterans group would meet resistance about marching in a Boston parade because of the city’s progressive reputation. “They are in the armed forces; they’re fighting for your country. Why in the world would you oust someone or shun someone” over sexual orientation, asked Schimmel. In the South End, Dr. Jon Santiago blasted the decision to exclude gay veterans, even if parade organizers reversed it. Santiago is a resident physician in emergency medicine at Boston Medical Center and a captain in the US Army Reserves. Santiago said it was time to end the long debate over whether gays people should have the right to march in the South Boston parade. He criticized organizers for allowing members who are not veterans to cast votes against those who served in the armed forces. “The fact that they’re shaming veterans who put their lives on the line, it’s a pity,” said Santiago. “Why in the world would you oust someone or shun someone” over sexual orientation, asked Brian Schimmel, of Pittsburgh, who was visiting Boston. 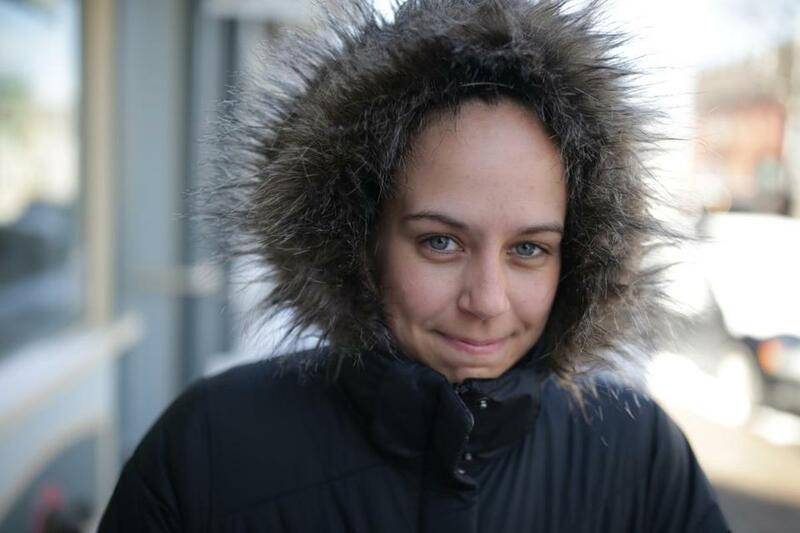 Laura Crimaldi can be reached at laura.crimaldi@globe.com. Follow her on Twitter @lauracrimaldi. John Hilliard can be reached atjohn.hilliard@globe.com.